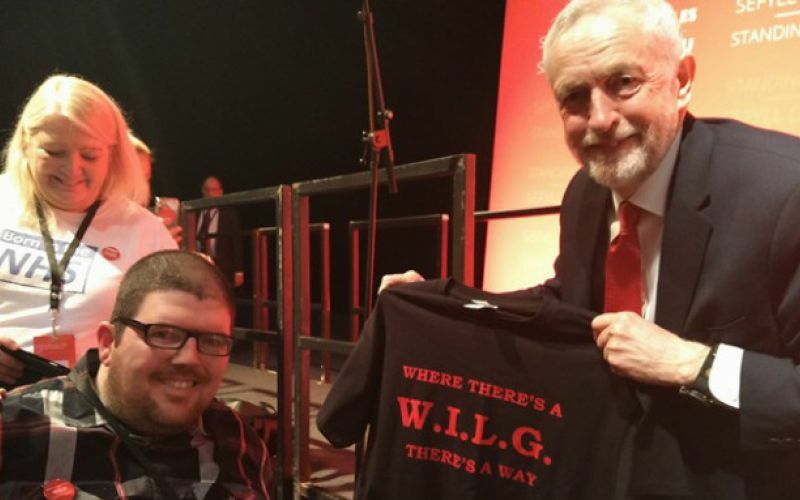 The ruling Labour government in Wales has been accused of “selling disabled people down the river”, after deciding that local authorities will be handed all financial responsibility for supporting former recipients of the Independent Living Fund (ILF). The Welsh government has decided that, after a short transition period, the £27 million-a-year provided by the UK government to support former ILF-users in Wales will be passed directly to councils. Instead, Rebecca Evans, the social services minister, said in a statement – following a public consultation and advice from a stakeholders group – that funding for WILG would continue in its current form through 2017-18, but would transfer to local authorities during 2018-19. All former ILF-recipients will have their support needs met solely by their local authority by 31 March 2019. The Welsh government has not yet decided whether the funding it will transfer to local authorities during 2018-19 will be ring-fenced for former ILF-recipients, or even for social care spending. Evans appeared to mirror the arguments of the UK government when it closed ILF last year, claiming that continuing under the present system would “provide support to former ILF recipients in a different way to which care and support would be provided to other disabled people in Wales”. But David*, a former ILF-user from Wales, said he felt “let down” by Evans’ decision. He said it appeared that the Welsh government had “simply sold disabled people down the river by washing their hands of all responsibility for social care to former ILF recipients and transferring the pressure onto irresponsible local authorities”. He said he would now be at the mercy of his “heartless” local authority for provision of the care and support he needs. He said: “This is not something I am confident about due to the fact that my social worker has already stated that without WILG I would face a reduction in my hours of care from more than 80 hours a week to a ridiculous 30 hours per week. He said he was struggling to live independently because he had a progressive condition and already needed more support than he received. Disability Wales, the national, user-led organisation representing disabled people in Wales, had been pushing the Welsh government to create a Welsh ILF. Rhian Davies (pictured), chief executive of Disability Wales, said Evans’ decision was a setback for the independent living movement in Wales. She said ILF had been a “valuable resource” for many years for former recipients and had “supported their ability to live independently”. She and David both said they were concerned that former ILF-users in Wales would now experience similar cuts to their support packages to those that have been seen in England. Only last month, Channel 4 News reported that 80 per cent of councils in England had cut the care packages of some former ILF-users in the wake of its closure, while two-thirds had not ring-fenced the money given to them by central government. Davies said: “Everything is pinned on the hopes that the new Social Services and Well-being (Wales) Act will lead to people being able to access a range of support in the community, but obviously that is a big ask in a climate of cuts in local authority services. David said he believed the Welsh government would “hide behind” the new act. He said: “This is a highly-regarded piece of legislation that promises much if it is rolled out correctly. “It would be great to live in a society which was co-productive and full of accessible, well-funded social enterprises to help me live independently. Asked whether the funding that will be passed to councils from 2018-19 would be ring-fenced for former ILF-recipients, or even for socal care, a Welsh government spokesman said: “As funding is not due to be transferred to local authorities until 2018-19, the exact basis of this will be subject to future discussion between the Welsh government and local authorities.